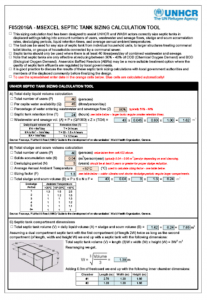 Tags: Boreholes, Drilling, and Groundwater. Categories: Training Materials. 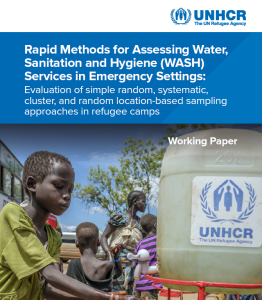 This document describes UNHCR’s methodology for conducting rapid WASH household assessments in refugee settings. Tags: Camp Closure, camp management, Child Friendly Facilities, Cold Climates, Disability, Environment, Gender, Gender Based Violence, Human Right to Water / Sanitation, Protection, Value for Money, WASH Coordination, and WASH Programme Health and Safety. Categories: WASH Manual. 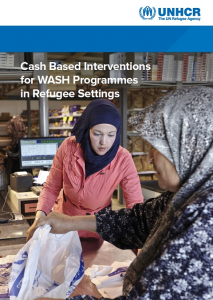 Tags: Capacity Building, Capacity Building, CASH Interventions, CASH Interventions, WASH Assessments, WASH Assessments, WASH Assessments, WASH Strategy Development, and WASH Strategy Development. 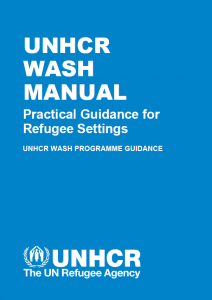 Categories: WASH Policy Guidelines, WASH Policy Guidelines, WASH Research Documents, and WASH Research Documents. 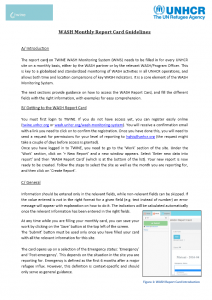 This document provides guidance on how to access the WASH Report Card within TWINE, and fill in the different fields with the right information, with examples for easy comprehension. 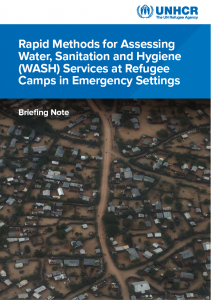 Tags: WASH Monitoring, WASH Monitoring, WASH Monitoring, WASH Monitoring, WASH Reporting, WASH Reporting, and WASH Reporting. Tags: Drain Fields and Drainage. Tags: Cross Cutting, Cross Cutting, Cross Cutting, Cross Cutting, WASH Programme Management, WASH Programme Management, and WASH Programme Management. Tags: Communal Toilets, Excreta Management, Excreta Management, Excreta Treatment, Grey Water Disposal, Grey Water Disposal, Septic Tanks, and Septic Tanks. Languages: English, English, English, English, English, English, English, English, and English. 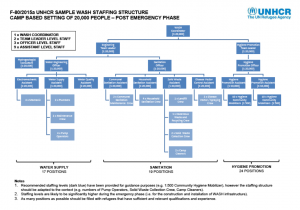 Organisations: UNHCR, UNHCR, UNHCR, UNHCR, UNHCR, UNHCR, UNHCR, and UNHCR. 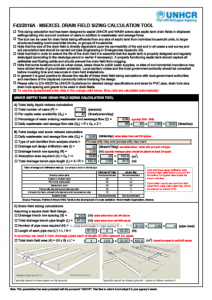 Categories: WASH Blank Forms, WASH Blank Forms, WASH Blank Forms, WASH Reference Documents, WASH Reference Documents, WASH Reference Documents, WASH Reference Documents, WASH Reference Documents, WASH Reference Documents, and WASH Technical Designs.